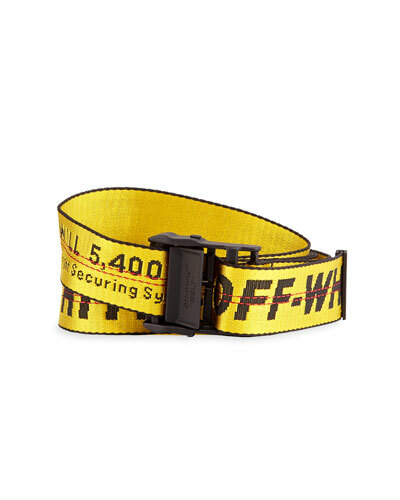 A belt can add a whole new dimension to your look. It is an essential wardrobe staple to help accessorize your outfit. 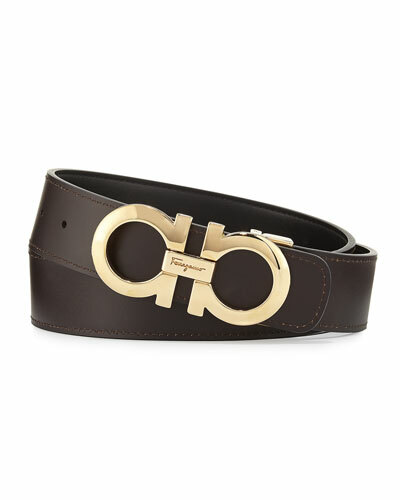 Check out Neiman Marcus’ selection of designer belts to look effortlessly suave. Whatever your personal style may be, Neiman Marcus offers all the latest trends to suit your needs. Pull off a refined look on formal occasions with our exquisitely crafted leather belts. 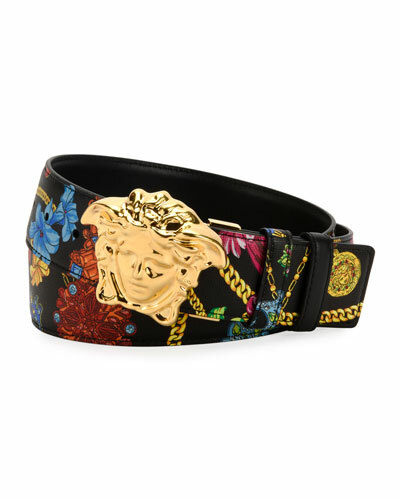 For a bold appearance, go for belts with statement buckles. You can also get two belts in one with our reversible designer belts. Short of ideas about what to gift your partner on a special occasion? Check out our boxed gift sets for inspiration. Carry off formal and casual looks with effortless ease with our choicest collection of men’s belts. 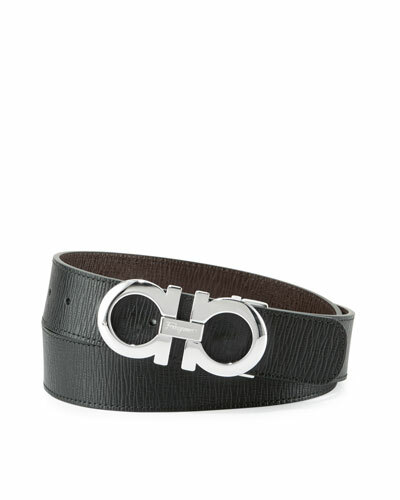 Shop Neiman Marcus for an incredible assortment of men’s designer belts. Balenciaga belt bag in pebbled calf leather with logo print on front. Adjustable web strap; can be used as belt or crossbody. Zip top closure. Front zip pocket. Approx. 6.7"H x 12.9"W x 1.7"D. Made in Italy.